As Preseason approaches Riot Games are hard at work sifting through feedback and suggestions for next season while players continue to tear each other apart in Summoner’s Rift. November saw the introduction of the 3.13 Update and with it a number of heavy changes to popular Champions resulting in the disappearance of past winners and the return of some fan favorites. Ezreal has all but disappeared and Teemo continues to linger like a bad smell but what other changes can we expect for the top played Champions in League of Legends for November? Celebrating one of the highest debuts in the year with a rank 1 finish in May, Ashe has since failed to remain in the favor of the League community with yet another low finish in November. 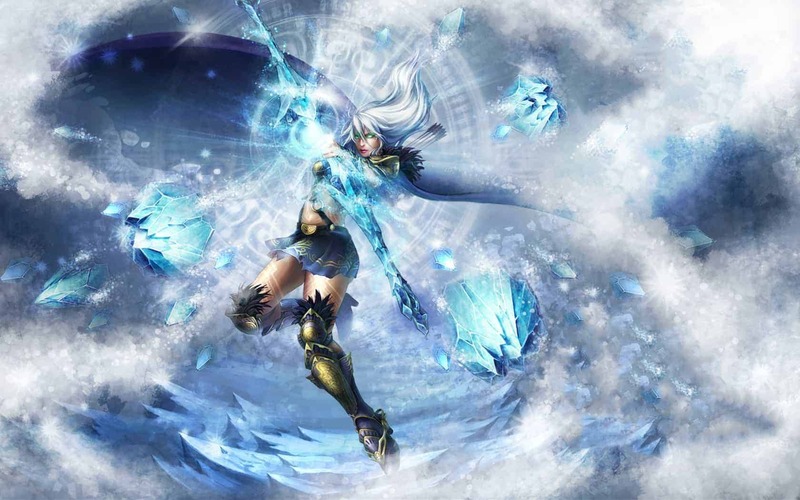 The accessibility that makes The Frost Archer so friendly to newer players appears to be off-putting the pros as many swap her out for more difficult and rewarding Champions. November seems a little late for a new Champion to be making her debut but that hasn’t stopped Riven, The Exile. Loved the world over for her ridiculously over-sized Runic Blade and rather saucy Battle Bunny costume, Riven has failed to make a serious impression this year thanks to the existence of less difficult melee Champions. Why bother with Raven when even an idiot can cause havoc for their enemies with Tryndamere? Lee Sin has been one of the regulars featured each and every month but has never quite managed to challenge the big boys. Last month saw Lee Sin’s highest ever finish as the Blind Monk secured 3rd place for October before suffering yet another surprising drop as he struggles to maintain a spot in our top 10 for November. He’s not one in contention for the most popular Champion of the year but if there was an award for the most consistently unpopular Champion, he would be up there with the best of them. November sees the Steam Golem achieve his highest ever finish for our monthly lists, just barely beating Lee Sin to the post with a 6,000 match lead. Previously Blitzcrank had failed to finish anywhere better than 8th place despite an appearance for consecutive months. He’s one of the few popular Champions that wasn’t changed with the recent 3.13 Update, giving those opposed to the flavor of the month Champions a tried and tested option. The age of the New Yi appears to have come to an end as Master Yi secures his lowest spot since his big buff a few months back. The patch at the beginning of November saw a return to form for his fan-favorite ability, Meditation, but that doesn’t appear to have been enough to see Master Yi’s return to the top 5. Nidalee has been a regular in our list since her first appearance in February however since that time she’s failed to make any impact on the more competitive areas of the table, consistently hovering around the lower rankings. June saw Nidalee’s highest ever finish as she claimed the 6th spot but she has finally bested her previous effort with her first entry in the top 5. The unofficial King of Yordles makes yet another appearance in our top played Champions list and another in the top 5. Teemo has been dominating the League for the past 6 months making an appearance in the top 5 every month since May. Ezreal’s 1st place defeat in July seemed to begin his decline in ranking as Teemo continues to snigger from the shadows with yet another high scoring finish. Caitlyn has enjoyed regular appearances in our top played Champions lists but has yet to equal her 1st place finish from April. Since then she has bounced around the middle ranks before completely disappearing in July and only just managing to break the top 10 with her 9th place finish in September. Last month saw the Sheriff of Piltover again fail to make an appearance but she’s back to fighting form taking 3rd place ahead of Teemo by a mere 3,000 matches. First appearing as one of the most popular Champions in June, Vayne has since struggled to match her debut rank of 3. September saw the Night Hunter fall only 300 matches short of 3rd place behind Ashe but November represents her highest finish in the year so far, securing a respectable 2nd place. Even more surprising considering her lack of appearance in last months list. Sadly Vayne’s left it a little late in the year to enjoy a popularity surge but there’s still a chance she could grab the number 1 spot in time for Christmas. Jinx, the Loose Cannon exploded onto the scene in her debut month in League storming the number 1 spot for October, despite being released partway through the month. She makes a shocking return this month as the most played Champion, just edging Vayne by 15,000 matches. Jinx was also the target of a heavy nerf in the 3.13 Update with Riot Games doing their best to minimize her early-game snowball problems. However, that wasn’t enough to keep the Loose Cannon down as Jinx claims the top spot for the 2nd consecutive month. With Christmas just around the corner and the almost certain release of new Christmas skins, it’s possible we could see some big changes in December. Be sure to check back next month for the most popular Champions of the year. Who’s your money on?